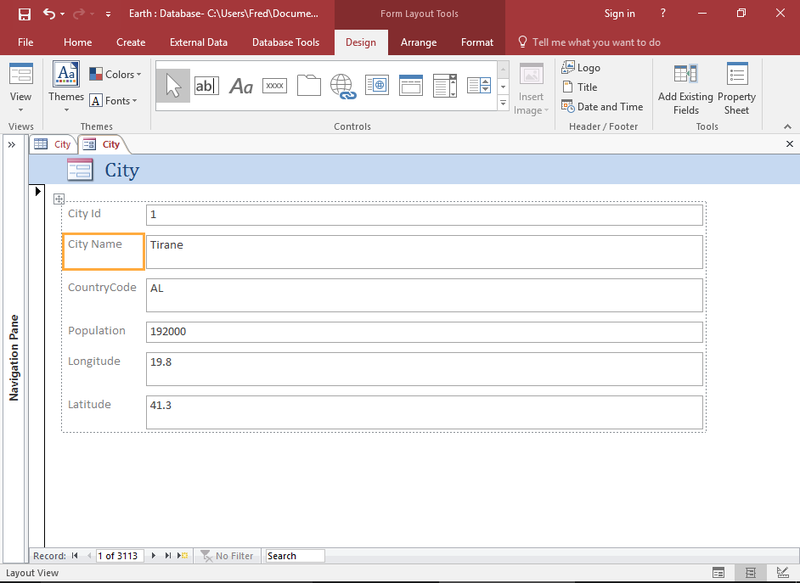 ﻿ How To Create A Form From A Table In Access 2016? 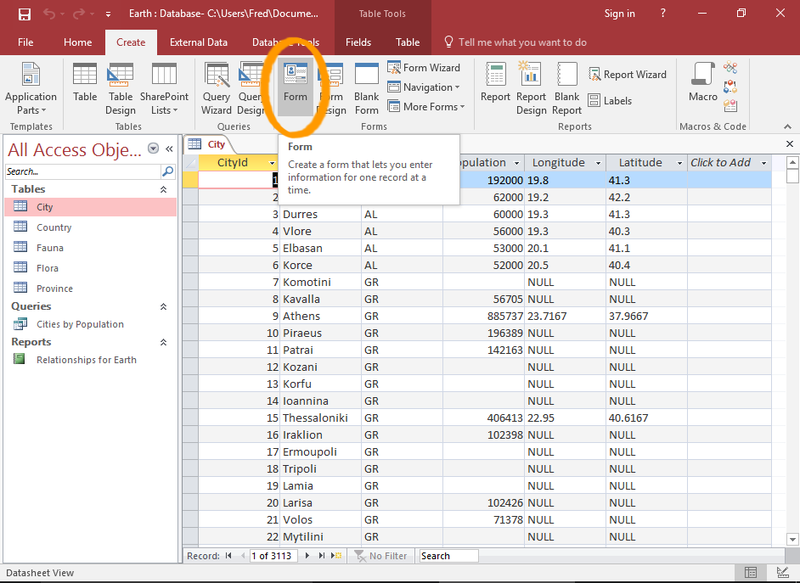 Do you know you can also create a form right from the table in Access 2016? 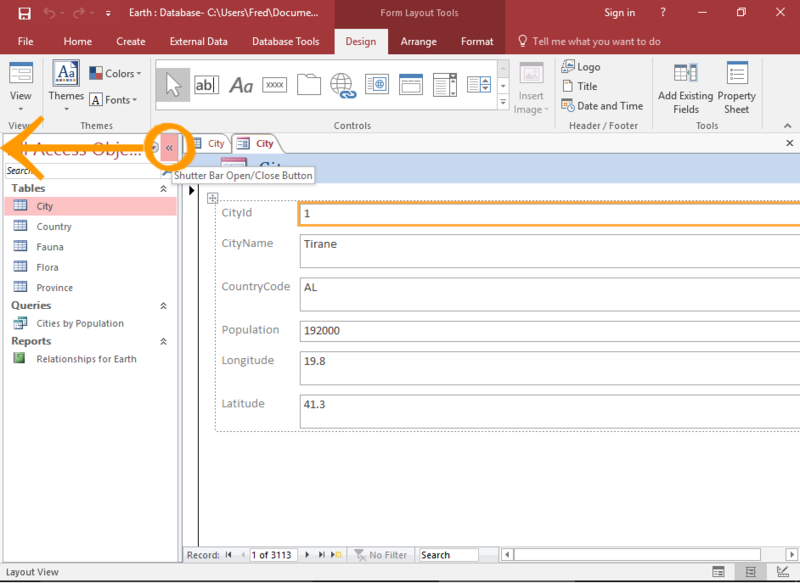 Learn how to create a form from a table in existing table 2016. In the left navigation pane, select for the tables you want to base the form on. Now click Form on the ribbon from the create tab. Form will appear, containing all the fields from the table. It will appear in layout view in layout view, which is a view that enables editing. You can switch to design view for more controlled editing and form view to see how it looks to the user. You can use the form as it is or you can customize it too. Many things you can do to customize and format your form. Touch up the labels well so they will appear clearer. To change the properties of single label or control, click on it. When you do this, it will be highlighted with an orange box around it. By default the form will display the field names from the table. Well these names are user friendly but often they are not. Therefore, you can change them on the form to be more users friendly. To select multiple labels or controls at once, hold down the Shift key while you select them. 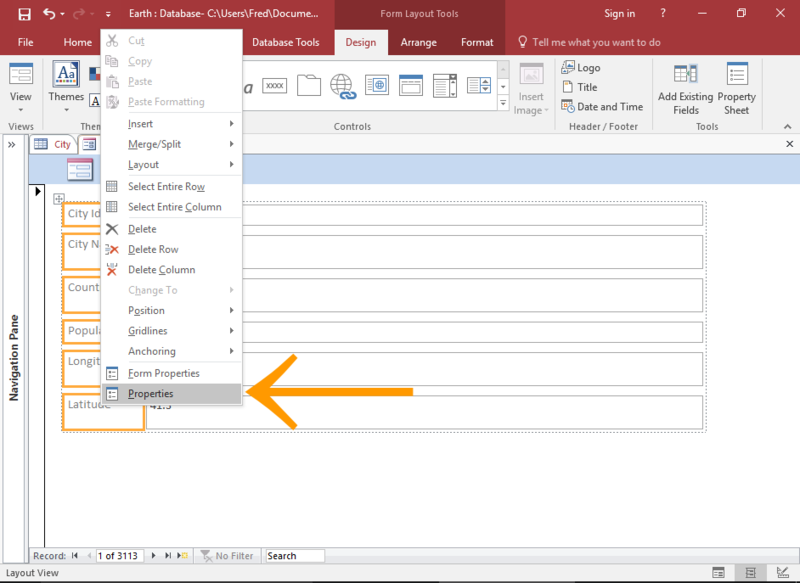 To change or view properties, once you have selected them, right click and select properties from the contextual menu. 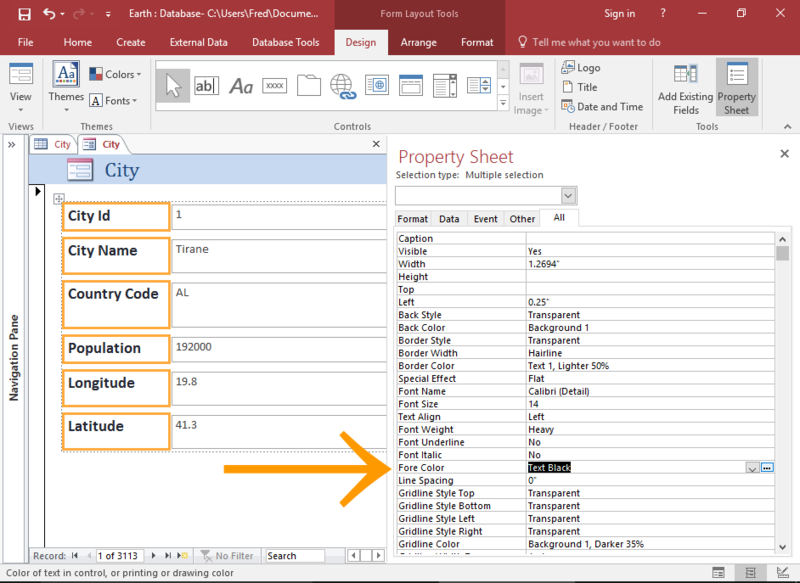 There is also the option of changing the text color by using Fore Color on the property sheet. From the property sheet, you can use the tabs to narrow down the properties. 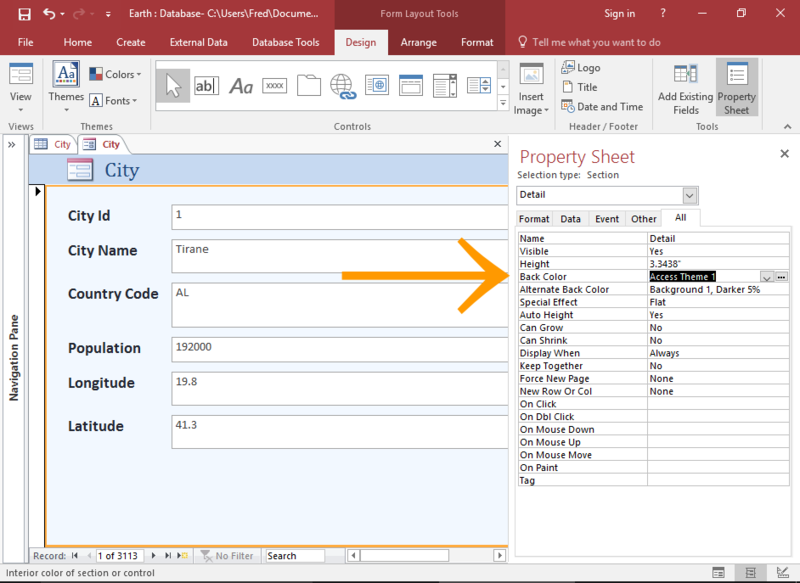 To Change the background color of the form, change the appropriate property in the Property sheet. Select the form details section by clicking anywhere within the form. Change the background color by using Back Color property.